As the globe is covered with 2/3rd sea, a fascinating world beneath there is always arouse the curiosity of mankind. The species living there having the history of dates back that of humans. Such creatures are voluminous and their features and appearance are beyond our imagination.Here are the fascinating few. Scientists call this a Dumbo Octopus with fins. 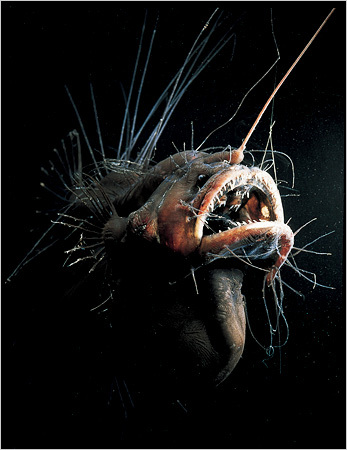 Researchers from the Monterrey Bay Aquarium Research Institute find these creatures close to the bottom of the ocean floor, miles below the surface. They are studying them but have not yet figured out their behavior patterns or biology. The largest specimens are almost five feet tall. 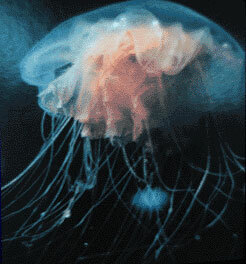 Otherwise called aequorea, are found in Monterey Bay but are more common in coastal waters further north. The rim of their bells glows with a green fluorescent(biolumescent) protein. Deepstaria enigmatica always seems to have an isopod living inside it. Isopods are small crustaceous creatures. Not all are parasites. Pill bugs are a form of isopod. 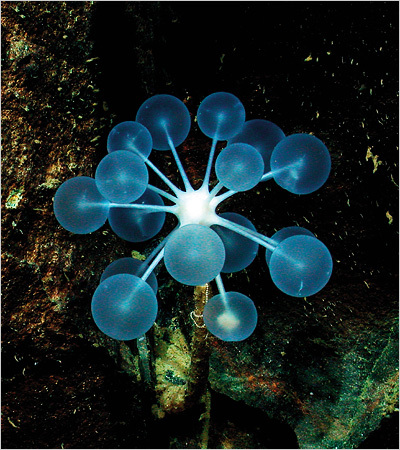 Deepstaria are very slow swimmers, and have no tentacles to capture prey. Instead, they simply close their large flexible bells over their food. As a species jellies have been around the sea for a very long time. It is found that they appeared in the oceans about 650 million years ago, before the dinosaurs. Jellyfish are incredible and amazing creatures as their bodies are made up of 95% water, have no bones or cartilage, no heart or blood, and no brain!. They are one of earth's simpler and more primitive life forms. The picture is a smaller specimen called "lion's mane jelly". Here is an another kind of jellyfish named "cyanea-capillata"
Have you found a snorkel to go out and see for yourself?